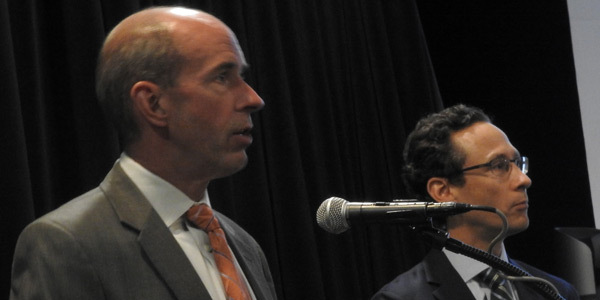 ALBANY, N.Y. — NYISO stakeholders on Wednesday offered broad support for incorporating a $40/ton carbon charge into the ISO’s markets, but some expressed concern over how the costs of New York’s decarbonization effort would be allocated. The comments came at a Sept. 6 public hearing jointly run by NYISO and the New York Department of Public Service (DPS). Brattle’s Sam Newell presented a summary of the report, saying more than 90% of the increased energy costs could be offset through carbon rebates to customers, reduced prices for renewable energy credits and zero-emission credits (ZECs), and improved investment signals. The report predicts the net impact on customer electric bills will be between a 1% reduction and a 2% increase. 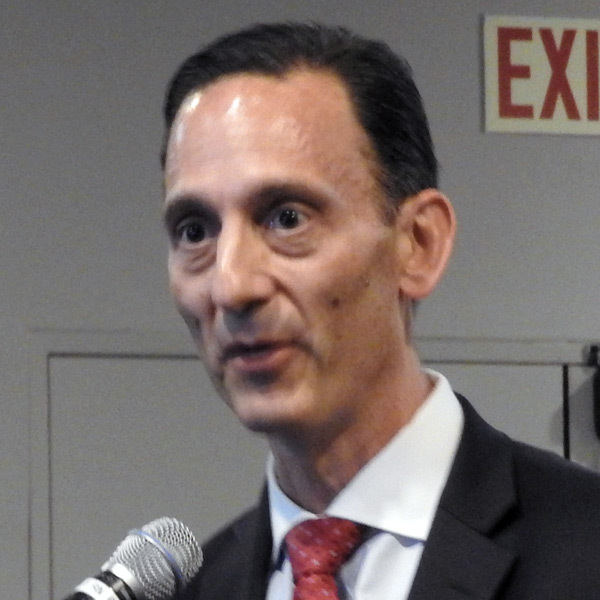 Scott Weiner, DPS deputy for markets and innovation, said the plan being developed by his agency, the ISO and the New York Energy Research and Development Authority envisions fossil fuel generators incurring a penalty based on carbon emissions levels. The carbon adder idea was prompted by the PSC’s decision to subsidize the state’s nuclear plants through ZECs. Jones noted that New York hopes to implement the plan in the markets within three years, a time frame that Weiner called reasonable. Weiner said officials will have a clearer picture in January, after additional outreach. As first steps, Weiner said, the DPS would seek stakeholders’ comments on, and alternatives to, Brattle’s proposal by Nov. 1. NYISO and the department will hold a series of technical conferences on the issue, with the first likely to be held around Thanksgiving, he said. “The exact format has yet to be determined, but we have zeroed in on two topics. One is the issue of borders and seams … and the second topic is revenue allocation,” Weiner said. 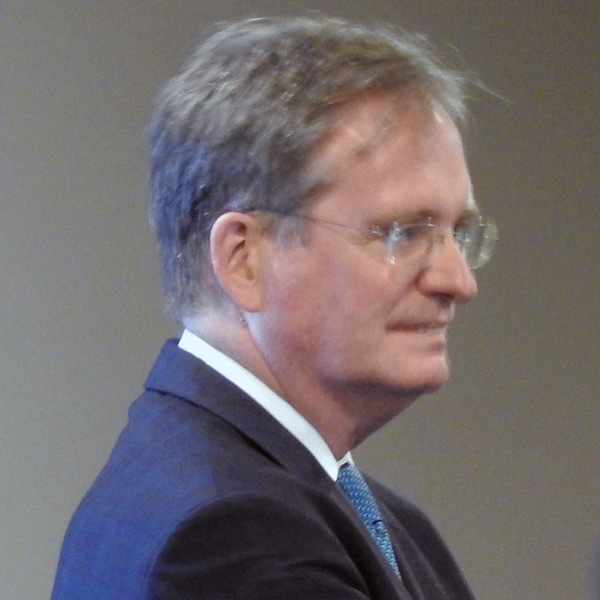 During the hearing, Mark Younger of Hudson Energy Economics contended that the Brattle report understated the volume of expected offsets. 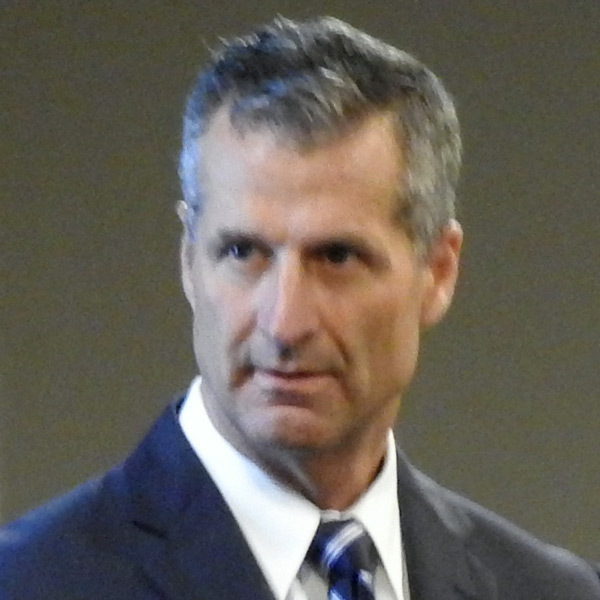 Brattle did not account for the New York Power Authority, “which has a lot of green resources also [selling] a fair amount of generation at market prices,” he said. 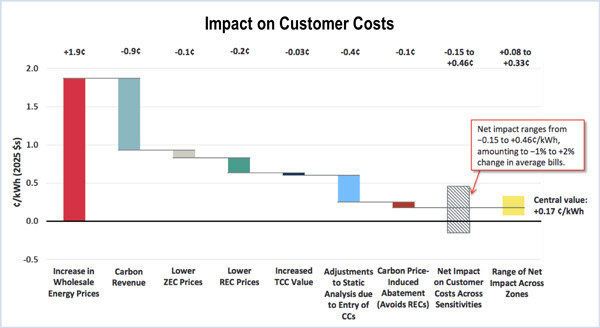 The Brattle report concluded that a $40/ton carbon charge would raise energy prices by approximately $19/MWh on a load-weighted average basis, but that after accounting for static energy price offsets, net customer costs would rise only $6/MWh. “And so, this is a source of revenues, certainly to the state, that could be used either to reduce taxes or to be rebating people, but that’s not included anywhere in [the report’s] estimate of savings and offsets against this $19/MWh cost,” Younger said. 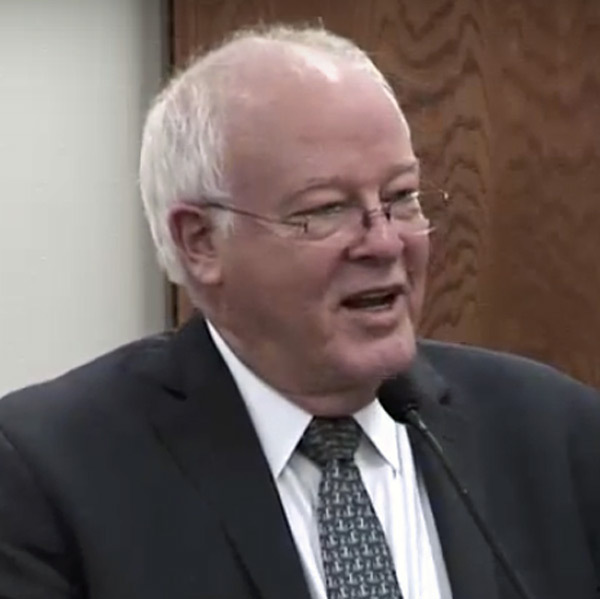 While Newell conceded Younger’s “good point,” he said Brattle’s goal was to make reasonable assumptions in the middle of the range of predicted outcomes. Kelli Joseph, director of New York market and regulatory affairs for NRG Energy, pointed to the major challenge of the state trying to achieve a variety of goals through different methods. Among them: RECs, ZECs, the Clean Energy Standard and Reforming the Energy Vision. “And is the $40 price sufficient to not only handle ZEC, but get 50% renewable and achieve whatever the REV goals are?” she asked. 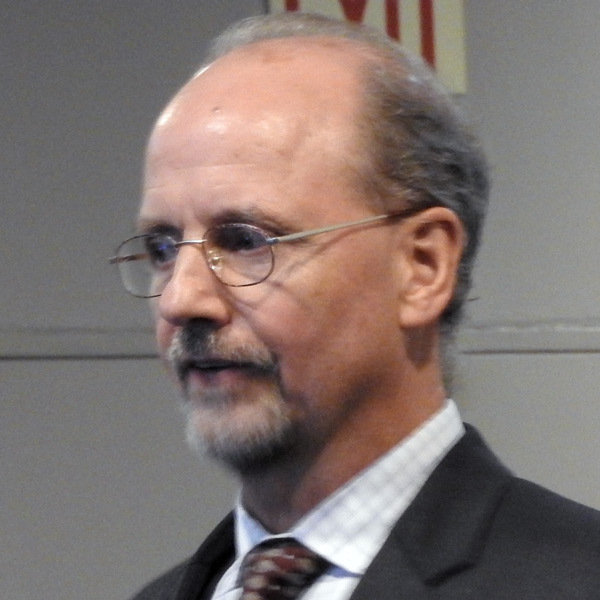 NYISO Chief Information Officer Rich Dewey responded that in May the commission said that any proposal would require “a great deal of stakeholder support” to be successful. “And we want to have the most thoroughly vetted design before we go down to FERC,” he said. 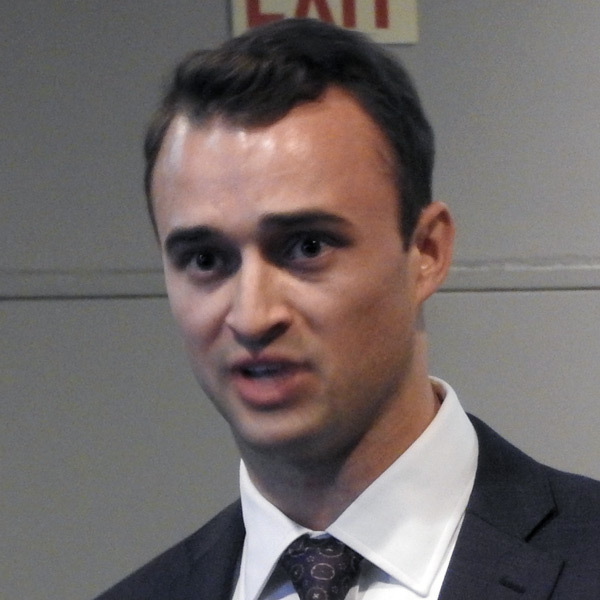 David Clarke, director of wholesale market policy for the Long Island Power Authority (LIPA), questioned the allocation of carbon costs, saying they might be disproportionately borne by consumers in southeastern New York. 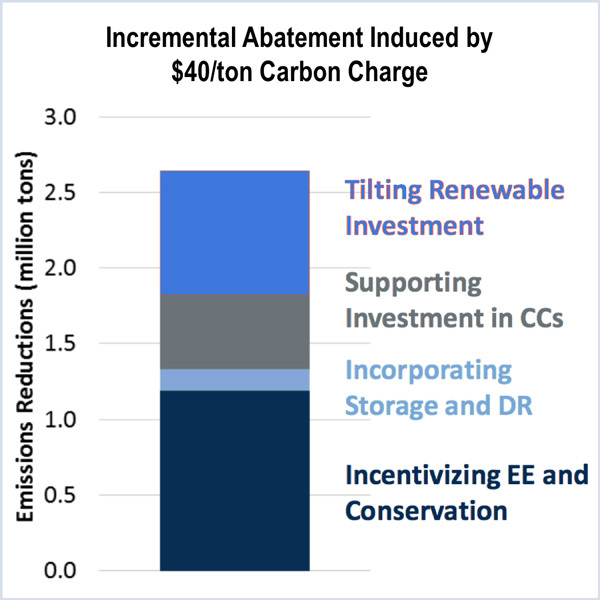 Newell said New York may want to consider allocating carbon revenues evenly to make up for the non-proportional impacts. 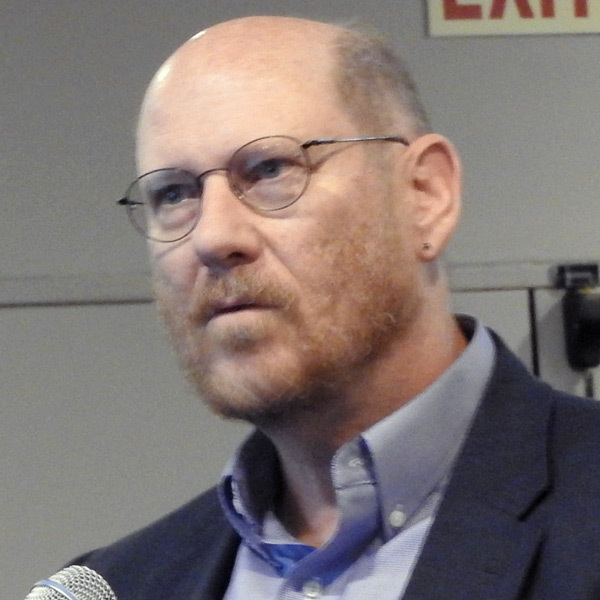 “The total wholesale cost, if it goes up about $20/MWh times about 150 TWh, that’s about $3 billion in total wholesale costs, and then the carbon fund is about half of that, or about $1.5 billion,” Newell said. “The incidence of who’s seeing prices increase more or less is not even, and that is why you might want to consider [proportional rebates],” Newell said. The capacity markets address reliability, and Con Ed spends a lot of time trying to figure out how the energy market price impacts the capacity market, Nachmias explained. “And more importantly, how does that affect the resources we need for reliability to manage a variable future?” he said. Dewey said reliability is always the grid operator’s first concern. “The reality is there’s a lot more renewables coming onto our system, so we need to look at what changes might be necessitated in our existing market products and our existing capacity markets, energy markets or ancillary services to be able to accommodate that grid in the future,” he said. 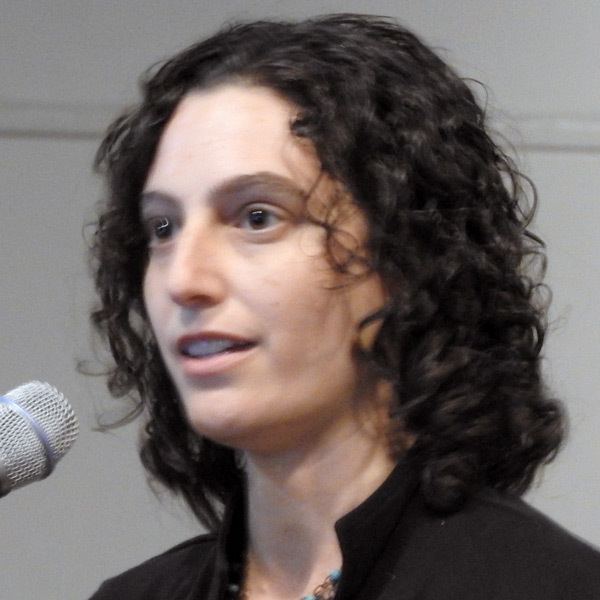 Jessica Azulay, program director at Alliance for a Green Economy, echoed Greene’s view and suggested that the DPS and NYISO consider a charge on other greenhouse gases, such as methane. 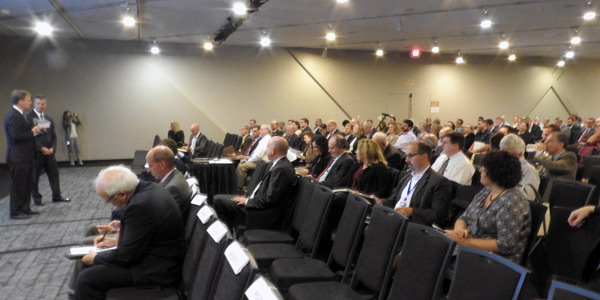 New York’s proposed Clean Energy Standard was the main topic of discussion at the Independent Power Producers of New York’s annual spring conference.